Celtic tattoos are based on designs used by a group of ancient tribal societies from Scotland, Wales, England and Ireland during the Iron Ages. 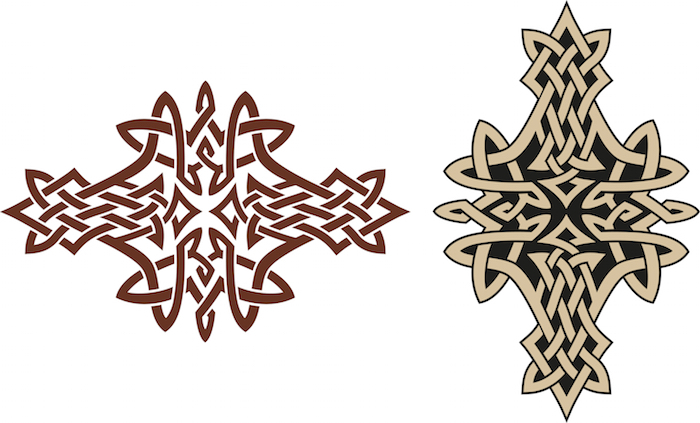 These ornamental designs generally contain interlocking knots and spirals that have no beginning and no end. 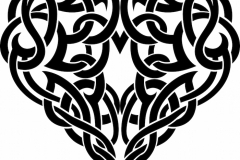 Some feature the tree of life, animals, a family crest, a heart, or a Celtic dragon framed by a knot pattern. 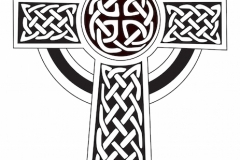 They may also include an ornate Celtic cross, a family shield or a lucky shamrock. 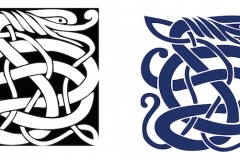 Celtic tattoos can be worn in nearly any location, but are common on the upper arms and chest. 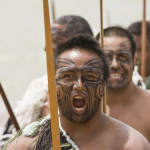 In fact, Celtic tattoos were originally worn prominently by a Celtic warrior to make him look fierce and to scare off the enemy. 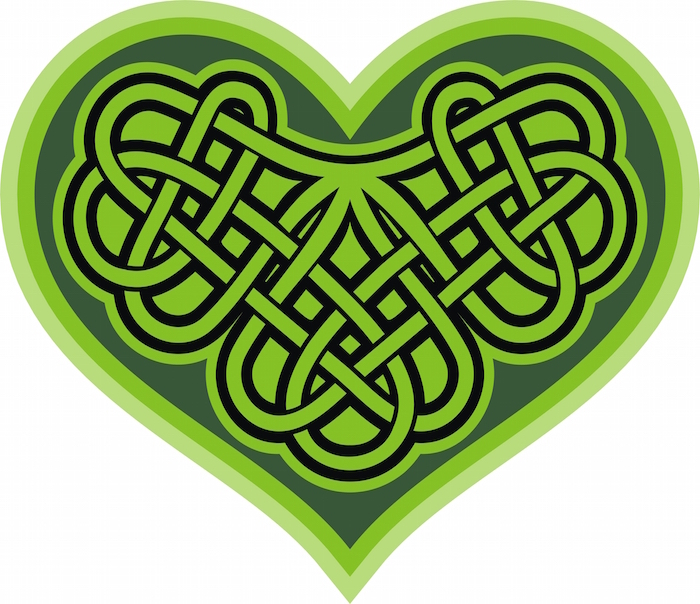 The Celtic armband originated with warriors and is still popular Celtic tattoo for men. These tattoos were typically black. 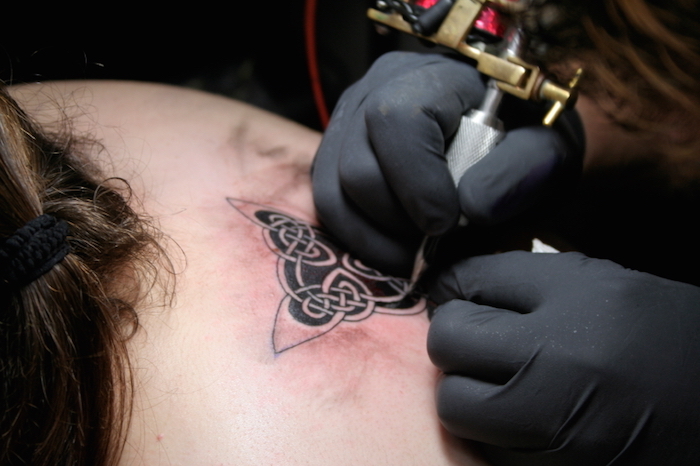 Black remains the most common color for Celtic tattoos today, but they may contain other colors. 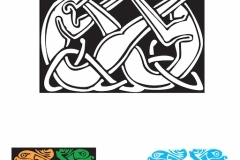 Green is a common color as it is associated with Irish or Celtic ancestry, but dragons, animals and flowers may be any color, usually framed inside a black knot pattern. 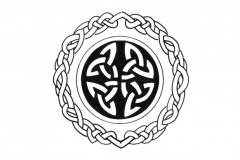 Celtic tattoos range in size from tiny tattoos suitable for the hand or wrist to elaborate tattoos for the chest or back. 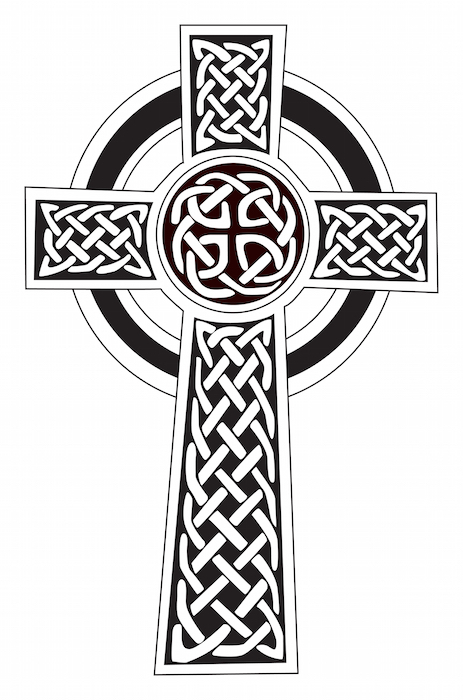 For women a Celtic cross or other ornate design is common at the back of the neck. 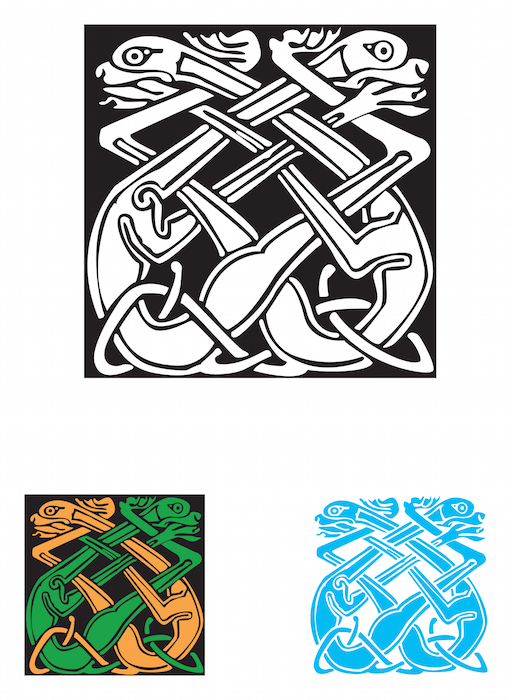 A Celtic sleeve may cover they entire forearm of the lower leg in a interwoven pattern of knots. 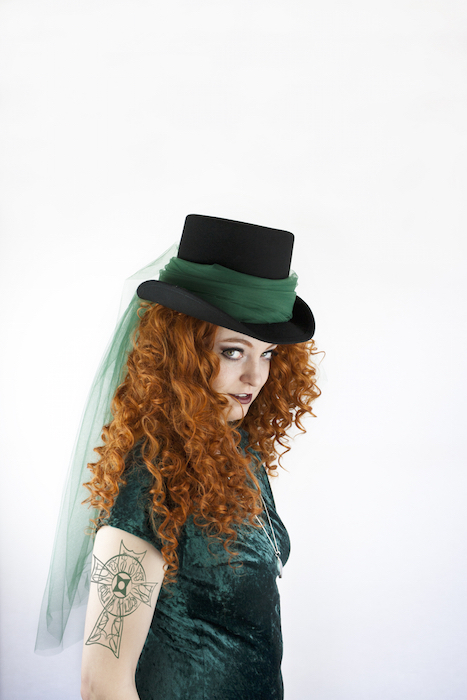 Some people even choose to cover both legs or both arms with Celtic sleeves. 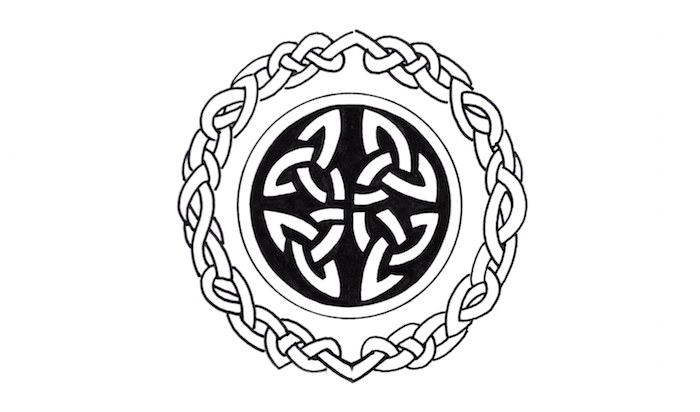 Celtic tattoos can even be worn as jewelry, such as a delicate Celtic knot around the base of the finger or at the nape of the neck. 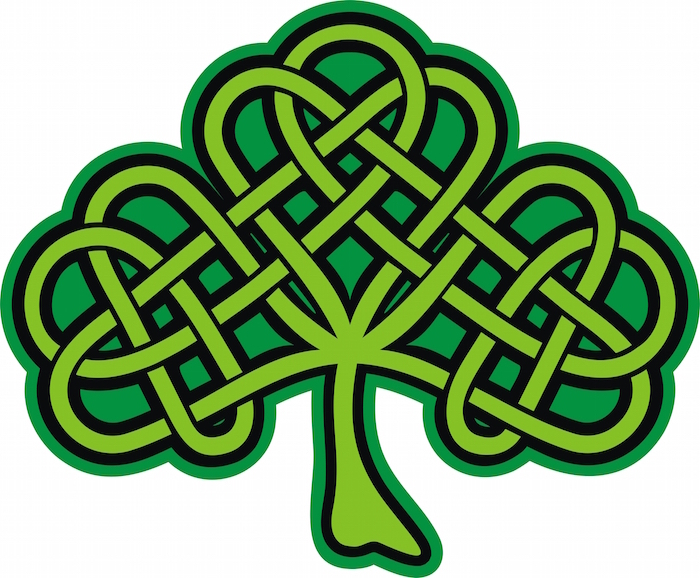 If you wear a Celtic tattoo you are likely to be committed to nature and invested in the “old ways”. 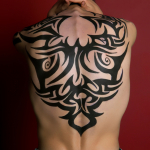 People who wear these tattoos may also be seeking spiritual growth and fulfillment. While they may not be religious and may even avoid religious affiliations, they recognize the enduring nature of both the earth and human existence and tend to nurture the earth and strive for positive interactions with others. 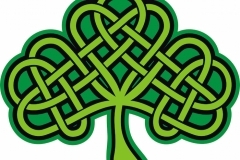 Most are also descendants of Irish or Celtic people and wear their ancestry with pride. 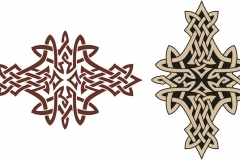 For others, Celtic tattoos are worn because of their ornate beauty with their intricate details. The meaning of any tattoo is deeply personal and may be worn in remembrance of those who have passed on, to honor relationships or simply because you enjoy their decorative nature. 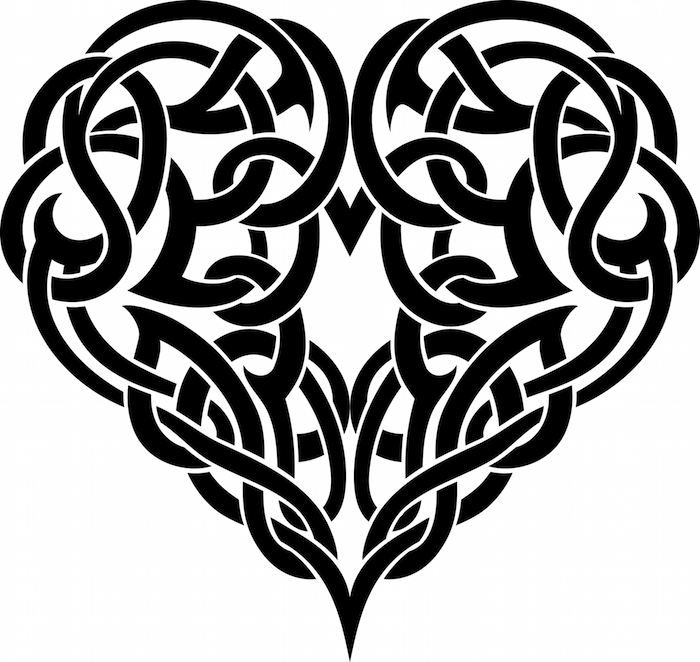 Don’t be afraid to choose a Celtic tattoo, even if you do not have Celtic ancestors, as these tattoos are as beautiful as they are symbolic.